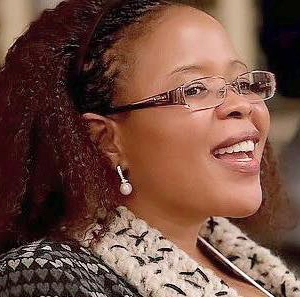 Mathabo Tsepa has devoted her life to improving food security, agricultural sustainability, access to clean water, and sanitation facilities for the people of Lesotho. Driven by passion for ecological sustainability and social responsibility, Tsepa founded Mohoma Temeng, a farmer’s cooperative, in her home district of Qacha’s Nek in southern Lesotho in 2004. The cooperative was established to address food insecurity and socio-economic challenges caused by HIV/AIDS. Among these challenges is orphaning of children by HIV/AIDS, which is especially near to Tsepa’s heart, having herself been raised an orphan. Through Mohoma Temeng, she formed a partnership between Lesotho with Canada to support local agriculture programs and clean-water initiatives. In collaboration with the UBC Go Global Programme, Tsepa arranged to send UBC engineering students to Qacha’s Nek to participate in the building of ventilated latrines. Not only did the project improve sanitation facilities, it also significantly decreased community risk of waterborne diseases by reducing contamination of the local water supply. Earning her PhD in Environmental Education from the University of British Columbia in 2008, Tsepa returned to her native Lesotho, where she was subsequently appointed High Commissioner to Canada in 2010, and served in this position until 2016. She continues to advance the exchange of cutting-edge research, ideas, and policies about place management through a cultural exchange program between the National University of Lesotho and the University of British Columbia. She was also an Ambassador of Lesotho to Cuba, and the High Commissioner of Lesotho to Jamaica, Barbados, Bahamas, and Trinidad and Tobago.